Mentoring is crucial to the success of the Youth ChalleNGe Program. See what a tremendous impact mentoring can have on the future of these kids in the video above. Whether you are an individual or a large corporation, there are many ways you can help us give thousands of young men and women a second chance. 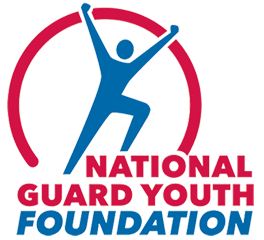 The National Guard Youth ChalleNGe Program is the most cost-effective and successful program for turning around the lives of young individuals who have dropped out of school. NGYF is proud to support this evidence-based program in its mission to reverse the dropout trend. Join us in the fight against the dropout crisis by becoming a Corporate Partner. There are many ways business can help the Foundation and youths in the ChalleNGe Program. Corporate Partners can help by contributing scholarships in the name of their business, establishing an endowment, or getting involved with the Workforce Development Program. Businesses can also join us as a partner to help us grow the program to serve more youth in need of a second chance. Public-private partnerships like these will enable us to make an even greater impact on the dropout crisis. For more information on how to become a Corporate Partner, email us. Any individual who makes purchases through Amazon can elect to donate 0.5% of their purchase price to NGYF. All they need to do is click this link: http://smile.amazon.com/ch/54-1940978 to link their Amazon account to our charity. NGYF Spokesperson Kaley Caperton co-wrote and produced “Red, White & Beautiful,” a song inspired by ChalleNGe cadets. Download the single from iTunes today. Proceeds of the download go toward NGYF. Kaley also recorded a music video at the Tarheel ChalleNGe Academy in North Carolina. You can support NGYF when you buy or sell on eBay, with the eBay Giving Works program. Shop now to support NGYF! You can also support NGYF when you sell on eBay. Just designate NGYF to receive 10-100% of your final sales price. Charity listings often get more bids and higher prices than regular eBay listings. Sell now to support NGYF!